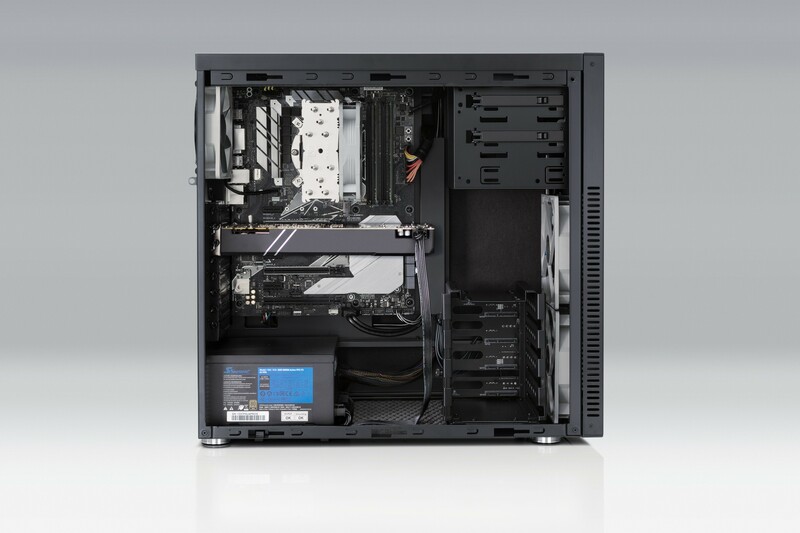 Our new C1 is the perfect entry into the world of professional workstations without sacrificing our uncompromising quality standards. 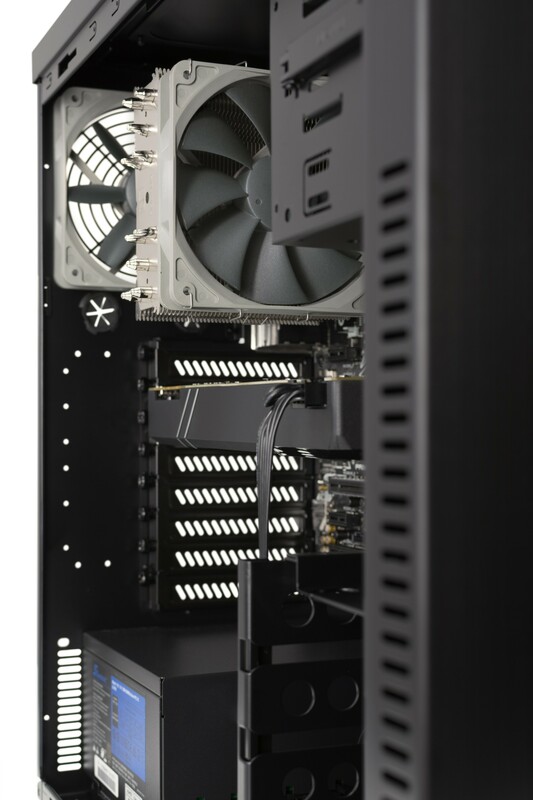 Intel's Core processors and NVIDIA GeForce graphics accelerators guarantee high performance, and thanks to our optimized chassis design and comprehensive cooling concept, the C1 remains whisper-quiet even under full system load. Your individual workstation: Each of our workstations goes through a certified system stability test before shipment (C1: 36 hours). Perspective shot of our new C1 workstation. New "all-black" interior design for chassis. with NVIDIA Geforce GTX 1070 Ti GPU. Detailaufnahme, entkoppelte Festplatte in Schiene des Laufwerkskäfigs. Integrierte Backplane-Anschlüsse erlauben einfachen Austausch oder Aufrüstung, ganz ohne zusätzliche Kabel zu verlegen. 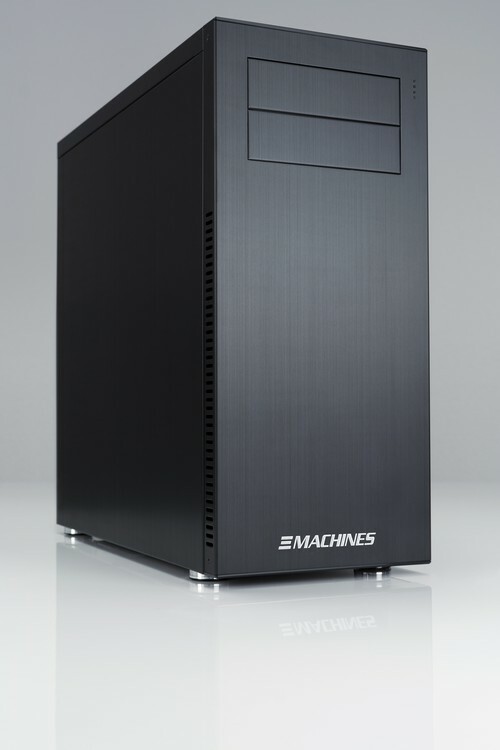 Hamburg-based XI-MACHINES GmbH has expanded its model range with the new C1 high-performance workstation. With the C1 Workstation, XI-MACHINES has designed an entry-level model for those who want to rely on professional equipment right from the start. 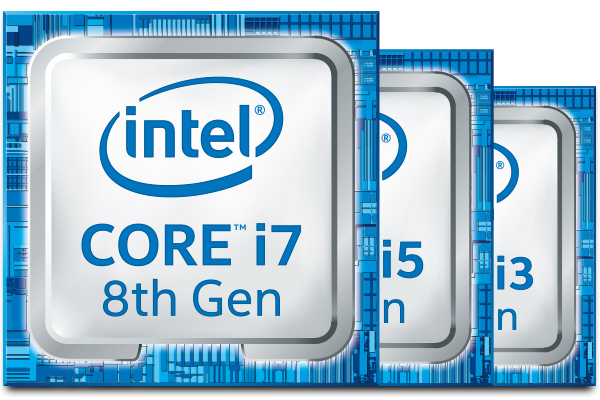 The new workstation is equipped with the latest 8th generation Intel Core processors and is designed especially for the areas of 3D animation, visual FX, compositing, video editing and audio production. With high-clocked processors with up to 6 cores and 12 threads, as well as up to two Nvidia dual-slot graphic cards, high computing performance is ensured. The interior of the C1 is - in good XI-MACHINES tradition - tidy and clean. The built-in high-end cooling concept ensures whisper-quiet operation even under full system load, which is pleasant for ears and concentration. The C1 inherited the premium all-aluminum chassis from her big brother, the X1. Therefore, it scores with stylish design and superb functionality such as an internal 4-fold SATA backplane for installation of hard drives without tools or cables. High-quality components combined with diverse functionality make the heart beat faster. Up to 64GB of system memory, optional Thunderbolt 3 expansion and fast PCI-Express SSD slots in M.2 and U.2 formats allow for fast editing of many video or compositing layers. As usual with XI-MACHINES, the new C1 series has undergone an extensive validation process prior to release. In addition, each individual C1 workstation leaves the house only after mastering a comprehensive 36-hour system stability test. This ensures reliability confidence. 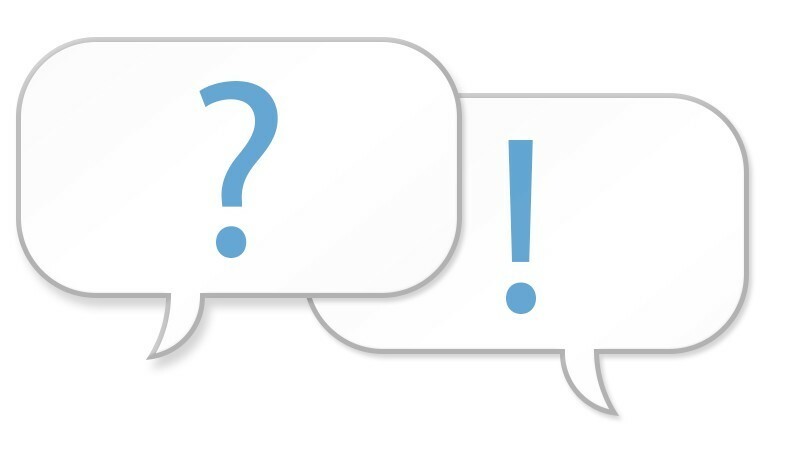 The C1 is available in three basic configurations: basic, advanced and ultra. However, each of these configurations can also be customized to meet your own requirements. 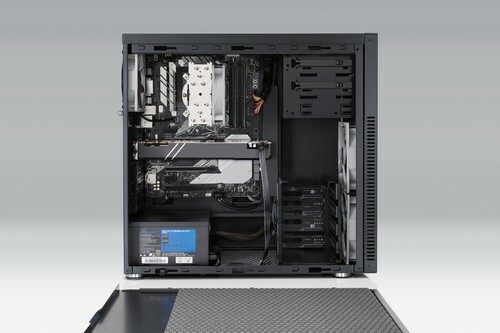 With the C1 high-performance workstation, XI-MACHINES has succeeded in developing a platform that combines professionalism, reliability and cost efficiency. Since 2005, Hamburg based XI-MACHINES GmbH is one of the leading manufacturers of high-performance workstations, servers and custom solutions for professional 24/7 operation in areas such as Media & Creation, Architecture, Engineering and Construction, Professional Audio, Broadcast and event. All systems are developed, manufactured and individually tested in Germany with the perfectionism and high-quality standards typical for XI-MACHINES and optimized for the corresponding field of application. As a result, XI-MACHINES GmbH offers its customers turnkey solutions that perform reliably and quietly even in demanding environments. Thanks to their stylish design, they always make a good figure at their place of work.